Since the mid 80’s hundreds of Capt. Tom’s fishing articles have appeared in various Outdoor Publications. In 2013, Capt. Tom’s first book, Bass Buff-A Striper Fishing Obsession Guide , was published and received outstanding reviews and kudos from the angling community. The Grand Slam is a 35-ft Custom Built T-Jason design powered by a powerful, reliable Caterpillar engine with limited diesel exhaust fumes. Capt. 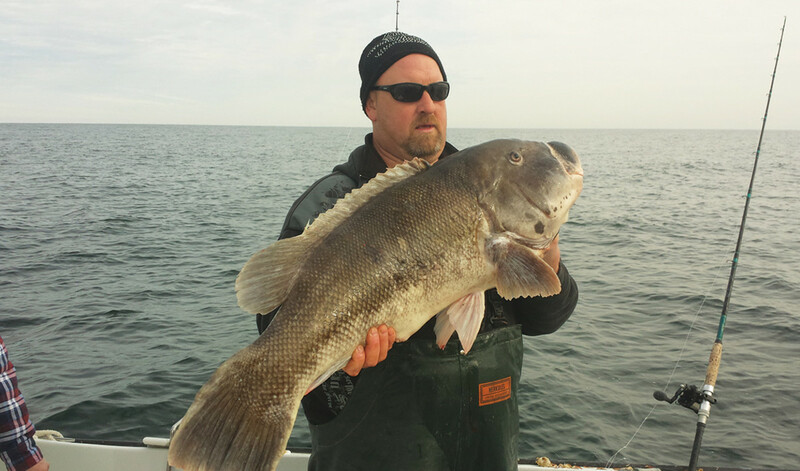 Tom worked very closely with the builder in order to get the boat “just right” for Montauk Charter Fishing comfort. Capt Marco began fishing as a young child with his father and got hooked! From a 14′ Grumman to a 18′ CC and 21’CC, Capt Marco primarily began fishing Long Islands North Shore. Soon the allure of scenery and fishing found in Montauk brought him to move ports. Easily logging 200 hours a year on the water in Montauk, Marco spends time fishing and exploring various structures and nooks that Montauk’s bottom has to offer in his primary search for doormat fluke. The Misty Dawn II is his newest addition as of the 2017 fishing season. This 35′ Maine Coaster is powered by twin volvo Penta diesels. If being put on the fish is not enough, this boat is also known for its spacious cockpit and good sea-keeping making it deal for comfort when chartering. 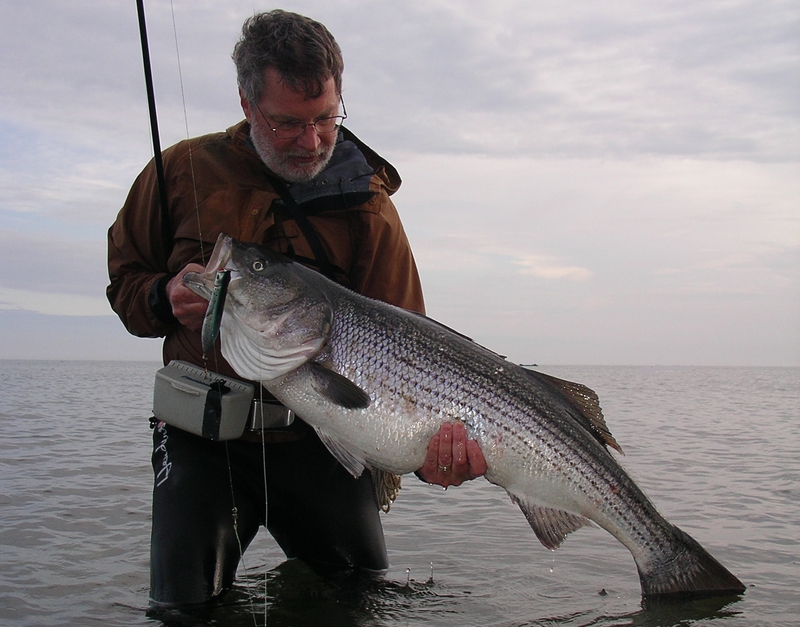 BERNIE HOYT IS A NYS CERTIFIED FISHING GUIDE SPECIALIZING IN SURFCASTING WITH OVER 30 YEARS EXPERIENCE IN THE SURF. HE OFFERS TRIPS FOR ALL AGES AND SKILL LEVELS. WHEN NOT FISHING THE LONG ISLAND OUTER BEACHES AND INLETS; HE CONDUCTS TRIPS TO CAPE COD CANAL, CUTTYHUNK, AND OTHER STRIPER COAST LOCATIONS. HE DELIVERS INFORMATIVE SEMINARS THROUGHOUT THE OFF SEASON IN HOPES OF ASSISTING AND IMPROVING ANGLERS STRATEGIES AND TECHNIQUES; TO SPARK A FLAME IN PEOPLE, ESPECIALLY THE YOUNGER GENERATION THAT MAY BE INTERESTED IN LEARNING ABOUT THE SPORT; AND TO INFORM ANGLERS ABOUT “CATCH AND RELEASE” AND ITS RELEVANCE TO THE SPORT. 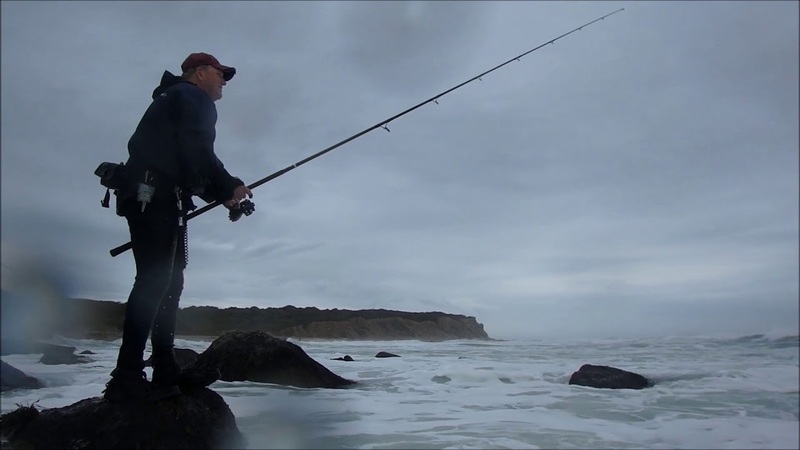 HE CURRENTLY WRITES A MONTHLY ARTICLE ON SURF FISHING FOR IBASS360.COM. HE IS A TEAM MEMBER FOR S&S BUCKTAILS, ODM RODS, KASTKING, GOIN’EAST AND IBASS360. HE IS ALSO A LONG TIME MEMBER OF THE LONG ISLAND BEACH BUGGY ASSOCIATION AND THE MONTAUK SURFCASTERS ASSOCIATION. With Captain John Capuano and crew on the Shinnecock Star, fish the Beautiful Waters of Long Island’s East End. Experience Charter Boat Fishing At Party Boat Prices! Enjoy open boat fishing with a maximum of 24 people per trip. 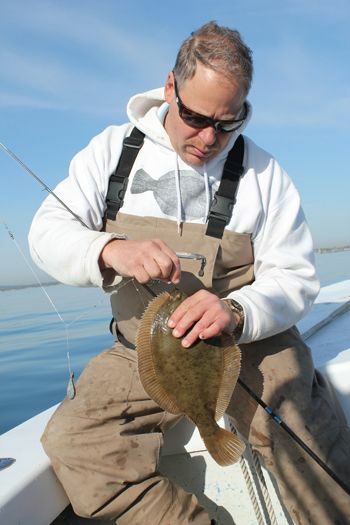 We fish pristine bay and ocean waters on Long Island’s east end. 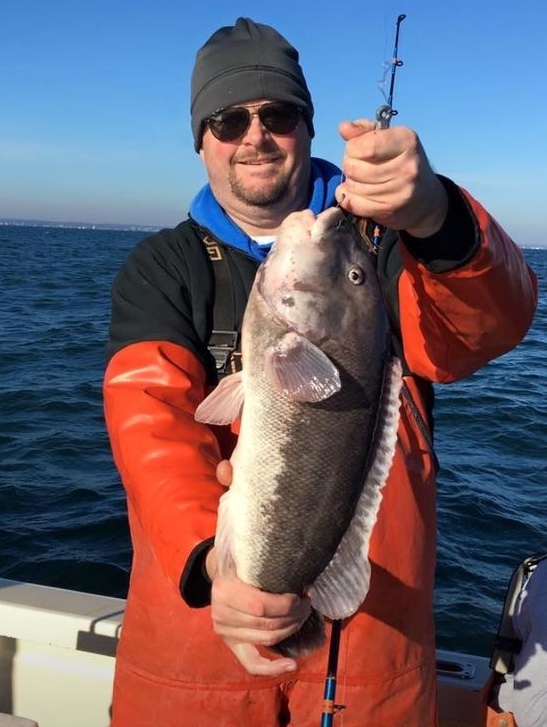 One of Long Islands top anglers, Capt John is most notably known for his versatility when it comes to fishing Long Island. Trailering his 25′ Parker CC, you may see Capt. John one day fishing out of Moriches only to hear that the next day or even tide, hes launched out of Orient. Capt John knows this island very well and knows whats going down and where it is happening. Capt John is also very well known for his invention and teaching of a technique called SNAP JIGGING. From surf, boat or skiff, this deadly method of working an artificial lure has caught nearly every species in our local waters and waters afar. Ever since I was a young kid I enjoyed sportfishing. Whether it was casting soft plastics to Largemouth Bass or fishing for Fluke in the Great South Bay. Eventually I learned about the Sport of surfcasting. The moment he hooked and landed his first Striped Bass from the surf I was hooked. During the season I can be found hunting Striped Bass, Blues and Weakfish anywhere from Montauk to Robert Moses Beach Several Nights a week. Fishing is my passion and my livelihood. By day I spend my time working at J&J Sports in Patchogue, building rods, repairing reels and sharing my knowledge with customers so they can have a great fishing experience. Captain Dan Buckley Jr., has taken the helm and is poised to continue the legacy of fishing and fun! 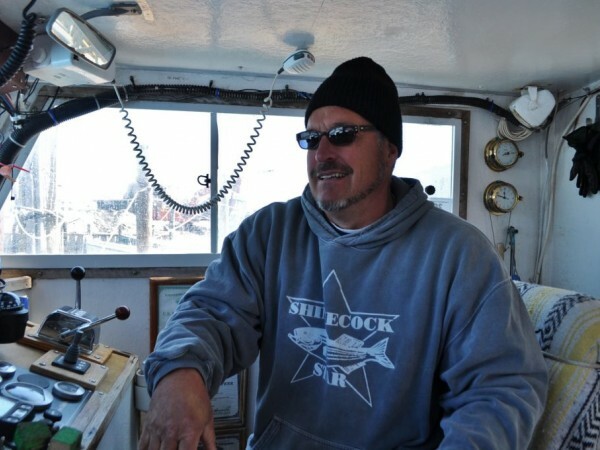 This Captain is a third generation Skipper on the North Fork of Long Island, New York. His love of fishing and all things nautical were fostered by his Grandfather,Captain Roddy DeLisle. Captain Dan has over 30 years’ experience steering and working on charter and party boats on the North Fork. 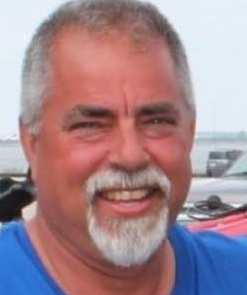 John McMurray is the owner and primary operator of “One More Cast” Charters. John is a well known and well published outdoor writer, specializing in fisheries conservation issues. He wrote the Resource Column for Flyfishing in Saltwaters for 8 years,and for 7 years wrote the NY/NJ Fishwire at Reel-Time.com. He is a regular contributor to Saltwater Sportsman, Sport Fishing Magazine, Shallow Water Angler, On The Water, and the L.I. 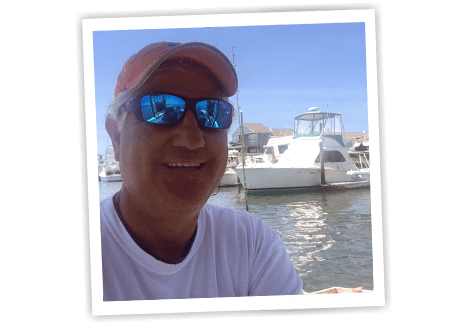 Fisherman and has had feature articles and/or photography published in Saltwater Flyfishing, Tide Magazine, Nor’east Saltwater, Newsday and the New York Times. He also wrote a weekly conservation blog for the Theodore Roosevelt Conservation Partnership and Reel-Time.com, and currently writes one for the Marine Fish Conservation Network. He is also one of the administrators forFissues.org. Capt. McMurray also sits on the Atlantic States Marine Fisheries Commission’s Striped Bass Advisory Panel, and is the Legislative Proxy at ASMFC for State Senator Phil Boyle. He also served as one of New York’s recreational reprehensive on Mid Atlantic Fishery Management Council from 2008 to 2017.